Cross your fingers and your toes for us – MAKAR entered NPR’s Tiny Desk Contest for 2019. This may be our year. Look closely — We have transformed our bathroom into a little concert with acoustics and vibes. Mark borrowed Andrea’s sun hat. If you look even closer, you will see very tiny desks, and can spot Castiel there looking a little worse for wear. That’s what travelling around in Andrea’s backpack will do to you. Also the Hulk is standing on chair because Hulk doesn’t sit, duh! 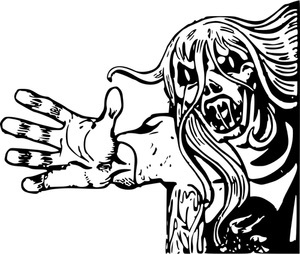 The song – Devil in a Dream Part II will be on our forthcoming album, Fancy Hercules. 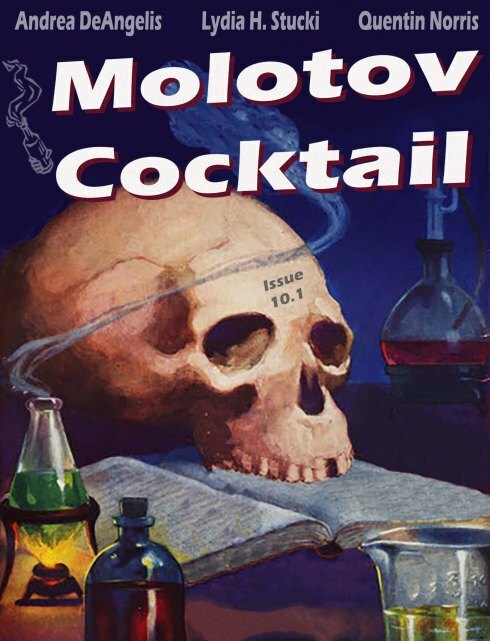 My short story Nocnitsa was published in The Molotov Cocktail in their Issue 10.1 on April 9, 2019! I am getting back into things, finally! Inspiration – I don’t remember how I happened across this creature. It may have been while researching nightmares during a relentless insomnia bout. But I was struck by its physiology – an ethereal being composed of smoke and a screeching voice. It caused me to imagine a lower physical body of vapor and sounds, the opposite of a physical self. According to folklore, she could shape shift into a raven, but that sounded too generic to me. I had recently become fascinated with the Vampire Finch, a blood sucker, which seemed more fitting for the Nocnitsa. Then I began wondering what specific kind of rage would make one into such a creature. When your body and everyone else fails you. And out of all that came my story of Nocnitsa.